Private gated entry opens into a magnificent 3.3 acre park-like oasis. Bright, spacious and modern contemporary with over 13,000 sq ft of living space. 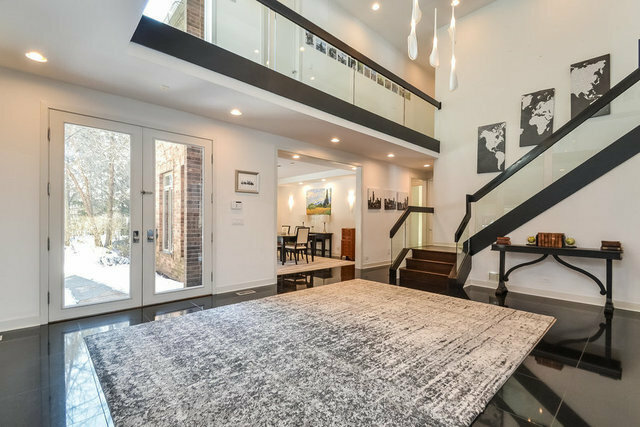 Incredible open floor plan with a 2-story foyer, dramatic family room opening to a modern chef's kitchen with 2 sub zero fridges, double oven, island and large eating area. True luxury can be found in the grand Master suite with 2 separate baths, sitting area, private movie theater set up and a dream closet. The home was perfectly expanded with a separate wing featuring 2 bedrooms and a loft. Unparalleled lower level with a theater room, Scottie Pippen's customized basketball court/gym, huge recreation/game room and exercise room. The lush and expansive grounds with pool and spa is nothing short of perfection!